I am not a fan of conspiracy theories, nor do I see a problem behind every step of technological advancement. I am very aware of the many benefits achieved in labs – and very much appreciate them in view of the enormous improvement of our everyday life in the past century. As a side, one of my favorite household remedies, sodium bicarbonate (NaHCO3), doesn’t necessarily sound too natural either. The ingredients for this all-purpose cleaner are very manageable – soap nuts (or dishwashing soap), vinegar and two essential oils. Apart from vinegar, however, the individual components are not exactly dollar shop material. So how can you save money with a cleaner that requires an investment of about 20 bucks for the basic equipment? There are two reasons: These ingredients are so potent that you can produce several years’ worth of all-purpose cleaners. At the same time, a whole stack of cleaning agents becomes redundant. 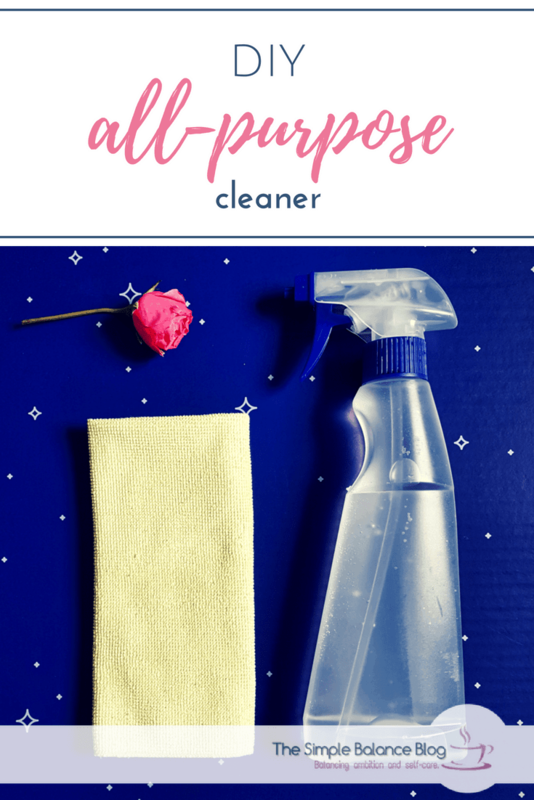 Bathroom cleaner, grease remover, surface disinfection, floor cleaner, vinegar cleaner, lime remover – if you have this all-purpose cleaner in your house, you’re good to go. All those spray bottles I just mentioned? They need a lot of space under the sink. 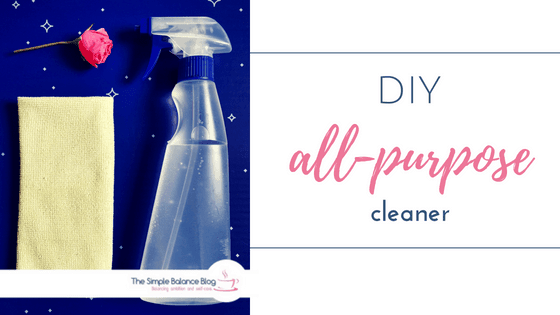 The basic equipment for this and other homemade cleaning products needs much less room and can be combined in various ways to meet your cleaning needs. A glance at the back of most cleaners and their many orange warning labels is enough to keep them far away from children. When I watched my first child crawling through the bathroom, licking and tasting anything within reach, I had a little epiphany: There’s still some residue on each surface and my baby picks them all up in the middle of her oral phase. All scaremongering aside, that’s clearly not necessary and this is where my all-purpose cleaner comes in. The ingredients are still not for drinking, but gnawing on the freshly cleaned bathtub is harmless. And if my preschoolers want to help with cleaning, I can let them use the spray bottle without hesitation. Still not quite without supervision, but it’s a step in the right direction. 2 tablespoons (30 ml) of vinegar*. Instead of vinegar, you can also use vinegar essence (or vinegar concentrate). Simply replace the two tablespoons of vinegar with 2 teaspoons of vinegar essence and add four extra teaspoons of water to the mixture. 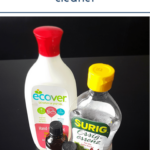 Mix all ingredients in a container, fill them into a spray bottle and use them like any conventional all-purpose cleaner for all common surfaces. My Simple Balance Tip: Mix a large batch by quadrupling the recipe and keep it in a gallon bottle, labeled with the adjusted recipe. Refilling spray bottles and mixing another batch of cleaner becomes that much easier and you’re good to go for many months! Liquid soap with soap soap soap is gentle on the skin and naturally soapy. It even contains health-promoting substances, making it ideal for body care. You can make your own, using just soap nuts and water and then use this soap in other recipes (I don’t recommend using it for laundry and in your dishwasher, though). Extra tip: Make highly concentrated soap-nut soap and freeze it in ice cube trays. If this sounds like too much effort, simply use dish soap. It’s designed so that traces on plates and cutlery are harmless and is, therefore, a child-friendly alternative. In my experience, the all-purpose cleaner has a stronger grease-fighting effect than soap nut liquid. Vinegar is an old household remedy, with great fat-dissolving, cleansing and disinfecting properties. It fights lime as well as greasy fingerprints and creates a great shine. And don’t worry: I’m not a fan of the smell of vinegar either. The essential oils make sure there’s no cloud of vinegar when cleaning. Tea tree oil has an antibacterial and disinfecting effect. Due to the high concentration in plant extracts, only a few drops are required. It took me some time to get used to it, but I’ve come to love the clean smell of tea tree oil. As a second essential oil, you can use any feel-good fragrance of your choice. For optimal cleaning performance of this all-purpose cleaner, however, I recommend the use of lemon or orange oil. In addition to a pleasantly fresh fragrance, they also have additional cleaning and fat-dissolving effects. So you see, you don’t have to be poor or paranoid about chemicals to give this all-purpose cleaner a try. You don’t even need to care about saving our planet, though that certainly doesn’t hurt… 😉 I promise you, this cleaner will fit so pleasantly into your everyday life that there’s no need to guilt-trip you into using it long term!